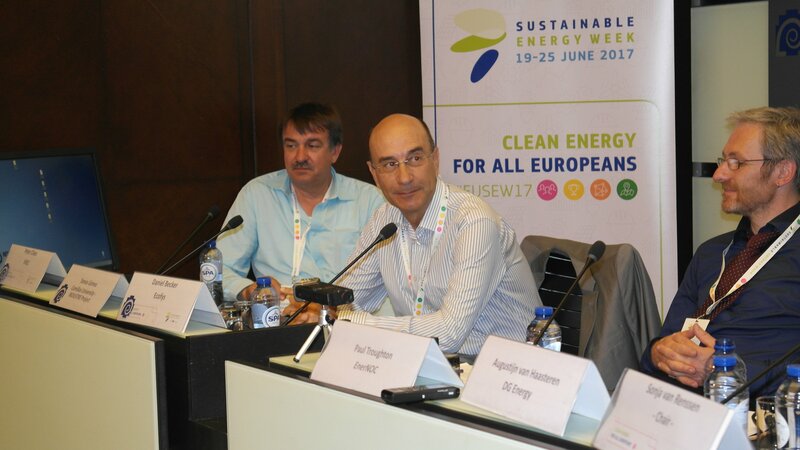 The IndustRE project, together with IFIEC, SEDC and ECOFYS organised a session at the Policy Conference of EU Sustainalble Energy Week 2017. The Policy Conference, organised by the European Commission, is the most important European conference dedicated to sustainable energy policy issues. The IndustRE session identified how the clean energy package can help align conflicting signals to the energy intensive industry regarding issues such as: energy efficiency, demand response, capacity remuneration mechanisms and network services.